The only thing cooler than real-world places being in a game is actually being able to visit your favorite game’s places. This is the beauty of video games making their settings real world locations. Unsurprisingly, die hard fans of a franchise will intentionally visit these locations, as if to travel into the game world. It’s a fun idea but is not without its complications. Anyone who lives in a world city can attest to the fact that tourists often cause frustration for locals. Since the release of Persona 5, there have been many users visiting areas based on real-world areas in the game, which itself is no issue; however, we have unfortunately been seeing some acts that are troubling the locals. 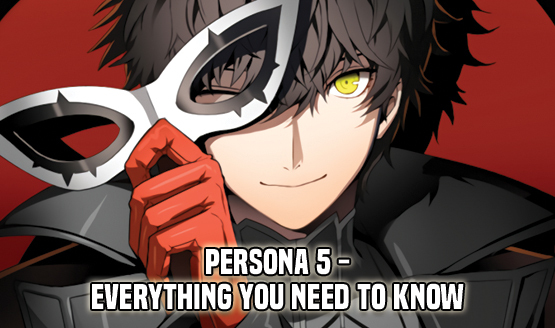 In order for those who played PERSONA 5 and/or those who are watching PERSONA 5: The Animation to comfortably enjoy the experience without causing an inconvenience for others, your understanding and cooperation would be truly and greatly appreciated. Video game related or not, remember that your vacation spot is someone’s every day experience or commute. Enjoy yourself but be aware of your surroundings. The more obnoxious behavior becomes, the less likely people will be able to geek out over these locations; let’s not ruin it for everyone because the results of these travels are awesome.